Protect your property with our concrete barriers, which can be placed quickly and easily to provide boundary and perimeter security. 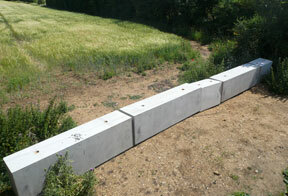 We can quote you to hire or buy our concrete barriers, you can then decide which option suits you best. Commonly a piece of land such as a car park will be left empty until the new owner or tenant arrives – unfortunately trespassers seem to arrive with their vehicles more quickly! 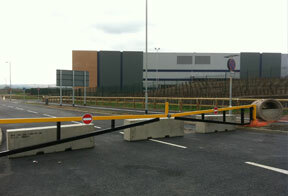 For added security why not consider our concrete barriers for Heras fencing?